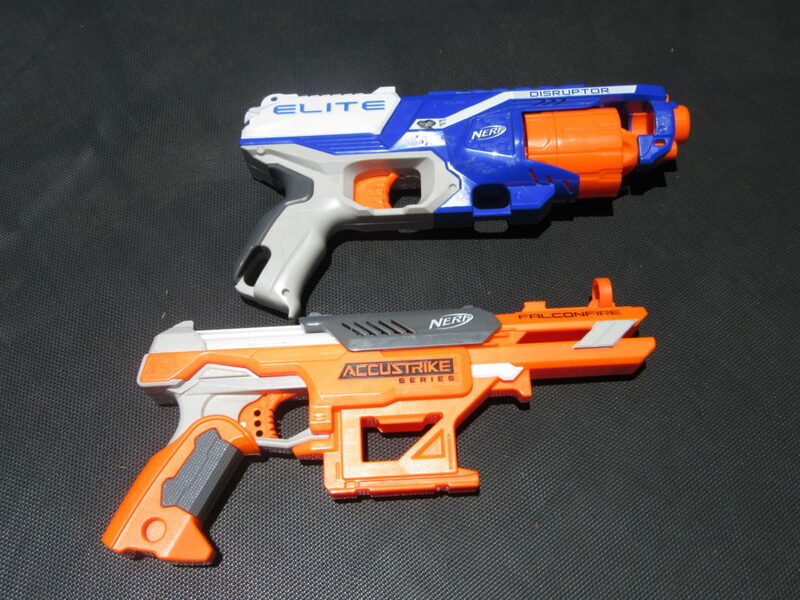 Fjord (10) and Acacia (7) never showed much interest in toy guns until their aunt gave them each a Disruptor Nerf gun. They were an instant hit. “The Falconfire is an amazing toy, it is very good quality and the bullets are very strong. I think that this Nerf gun is my best one so far. It looks awesome and has very good aiming”. Not exactly an essay but it’s about the most I’m going to get out of him. The Falconfire is indeed very accurate and easy to aim.